Do you find social media marketing overwhelming? Social media is enjoyable and addictive - we are all guilty of mindlessly scrolling our news feed on more occasions than we would like to admit. Just as consuming social media can be fun, marketing through the means of social media channels can be enjoyable too, as well as being extremely effective for your business. However, the art of social media marketing can feel overwhelming, especially if you are just starting out. Before starting to post to social media on behalf of your brand, it is a good idea to learn about the basics. Taking the time to form a basic plan can improve the long-term effectiveness of your social media outreach. Here are some simple ways to get your brand started with social media marketing and make the process feel less overwhelming. It’s important to start by narrowing down which audience you want to target using social media. In order to establish which social media platforms you intend to market your brand on, as this will likely mirror the target market that your brand has in place already, or you might decide to single out some key consumer groups in order to be more focused and appealing. A great way to bring your target audience strategies to life is through building personas or using the buyer personas you already have created. Review the buyer personas and then take the research to the next level. What social media sites do they use? What times are they on these networks? 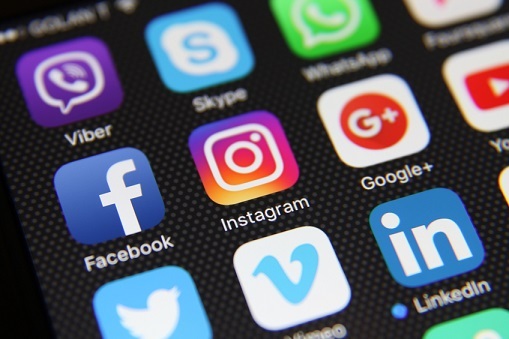 Luckily, there is plenty of research out there on what social platforms each demographic prefers, so you can review the research to decide which networks you should be on as well. Don’t post on networks that your target market doesn’t use. Not only will this stress you out, but it will likely be a waste of time. While social media platforms create opportunities for everyone, they are also extremely saturated. This means that in order to stand out from the crowd and be worthy of attention from your target audience, you should establish a niche. Creating a niche is simply about tapping into a unique market sector and staying consistent from a marketing perspective. For example, if you focus on residential lending, don’t suddenly post about commercial regulations. A niche could also be a specific type of product, such as FHA loans or investor mortgages. Additional details for your niche could be factored in, for example by appealing to those in specific circumstances, such as first-time buyers or the newly retired. If you think about the fact that you only have to post about what you know (i.e., not all of the mortgage industry in general), the task becomes a bit more manageable. As social media usage grows, content quality and originality are growing, too. Consumers of social media demand that the content they choose to view is relevant, helpful, and engaging. Establish a strong brand voice and post continuously. Creating a content calendar can be very helpful in making sure that your posts are always kept to a high standard, and that they are consistent and engaging. Many brands create monthly and seasonal topics that they focus on as part of their content plan. It is also helpful to refer back to your target audience personas and ask yourself what problems they might be having that your brand can help to solve. Once per month consider what pain points you want to address and focus on those. When content focuses on solving the problems of target audiences rather than blasting out generic marketing slogans, it has the potential to be very successful. If potential customers engage with your brand’s account on social media, the chances are that they also engage with your competitors, too. Therefore, it’s important to keep tabs on the types of content that your competitors are producing and make sure that your content stands out. Instead of trying to compete through content, it’s wise to think about the niche that you established earlier on. If your niche is unique, you will always be able to provide interesting content that speaks to the right people. If your competitor produced a wildly popular piece of content, look at it and figure out which elements made it so great and try to replicate those. Consistency in social media is something that many agents do not prioritize. However, it’s vital for making sure that you stay in the minds of your customers, and for giving a professional and reliable impression. By making sure that you stick to your content plan, you will probably have already differentiated yourself from your competitors. Technology can help you maintain consistency. Automated posting platforms can help you organize and post regularly, without you having to sign on to each social media site every day, reducing the burden of constant posting. Get the most out of social media by driving engagement and conversations online. Engagement is measurable both quantitatively and qualitatively, meaning that you can start to track how customers are noticing you, and also what they think. A great way to encourage engagement is through starting conversational topics. This can also facilitate methods of feedback that can be invaluable for your brand. While the possibilities of social media marketing are seemingly endless, it’s important to start small. Make sure that you do not get ahead of yourself by starting to post content without any brand strategy or measurable goals. It’s better and more effective in the long-run to work hard on setting the foundations, creating a robust strategy, and devising a high-quality content plan. By doing this, you will be able to appeal to the people you want to attract and speak to them in a highly engaging way. Adrian Fisher is Founder and CEO of PropertySimple, a real estate technology software that allows agents to build their personal brand online.